I read this novella on the basis that it was a) by Brandon Sanderson, a writer whose work I have enjoyed b) the subject of a recent episode of the Writing Excuses podcast (which features Sanderson) where they deconstructed the structure and writing choices and c) short. Sanderson is famous for the rigour and inventiveness of his magic systems and this book is no different. Practitioners in this world are able to adjust the history of an item by the creation of a complicated stamp, and this gives rise to less than scrupulous people being able to create forgeries of famous and/or valuable items. The story itself is quite engaging although (as is often the case in shorter works) based around a single theme. 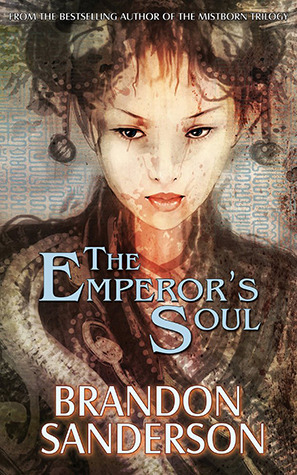 A master forger is forced to work to forge the soul of the Emperor who has been left as an alive but mindless shell after a botched assassination attempt. The motivations of the Forger as well as the political machinations of the people trying to restore the Emperor made for good context. The pace was good and combined with the short length made for a quick read. If you are an aspiring writer, I’d recommend listening to the podcast referenced above after reading. There is an excellent discussion on the technicalities of how the story was constructed, well worth the 15 minutes or so investment (Writing Excuses is a very short weekly podcast, see my Podcasts page for more detail). A fun, short read. Recommended.